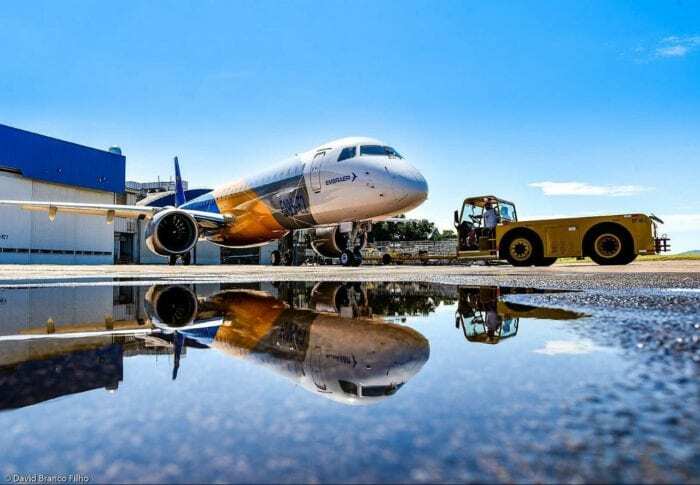 Nigeria’s largest airline is set to become the first African operator of the Embraer E-2 aircraft. Air Peace has signed a firm order for ten Pratt & Whitney PW1900G-powered E195-E2s with purchase rights for a further 20. The deal, worth USD$2.12 billion, was finalized at the Brazilian manufacturer’s Africa Airline Business Seminar in Port Louis, Mauritius. The carrier establishes itself as the largest airline in West Africa and has rapidly grown since the commencement of their operations in 2014. The airline intends to address the untapped demand in the African market with the E195-E2. 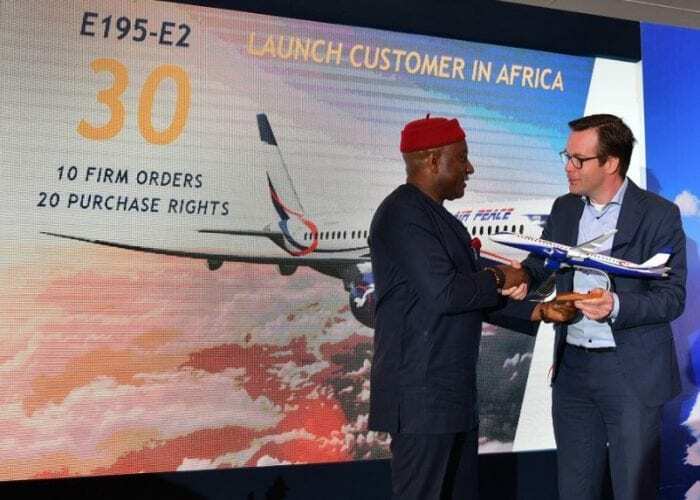 Air Peace is an existing operator of Embraer aircraft. Currently, they operate six Embraer ERJ-145 on domestic flights and to nearby international destinations. Additionally, the carrier operates 13 Boeing 737 family aircraft and has ordered ten 737 MAX 8 in 2018, alongside with two Boeing 777 aircraft that are currently stored. The E-195-E2 delivers Air Peace with a seat capacity of 146 in an all economy-class configuration and a range of 3,250 nmi (6,020 km). With more than 90% of domestic African flights departing with fewer than 150 passengers onboard, it makes the E195-E2 a great fit for the airline. What do you think of the E195-E2? Let us know in the comments!